As Sisters of the Presentation, we commit ourselves to empowering women and children in every ministry that we serve. Our everyday actions speak to our commitment to women and children. 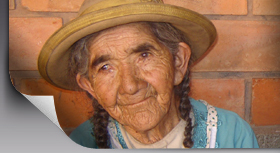 Each year the people of Bolivia suffer from hunger and disease caused by poor living and sanitation conditions. Sisters Mery Cari Paz, Therese Corkery, Marge Healy and Suzanne Takes minister to Bolivians through coordination of education, housing initiatives and leadership programs. They work to shelter the homeless, heal the sick and empower the weak. 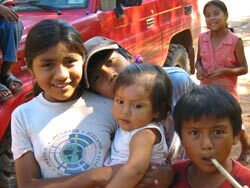 In addition, Presentation presence has been devoted to the Guaraní people, empowering them to preserve their culture and language.